Get on board with the style of the moment! 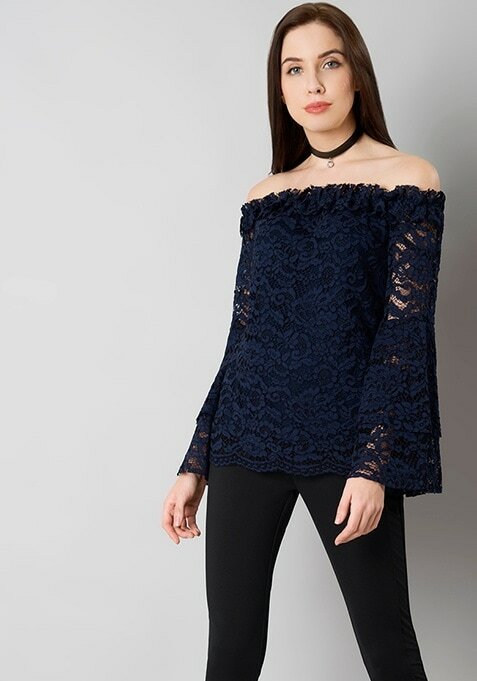 This navy lace top is THE hero piece you need in your wardrobe this fall. Features off shoulder style, layered bell sleeves and frill details.